Christmas is approaching fast and I thought for every remaining day, I will post a Making Of shot and one or more final shots taken at that scene. A while ago I found a few cool looking dead trees along a river bank and noticed that quite a few Red-rumped Parrots (Psephotus haematonotus) and Galahs (Eolophus roseicapilla) frequented that spot. One branch in particular caught my eye and I decided to visit this spot a few times in the next couple of weeks hoping to get a bird perched on that cool looking branch. The first few times I set up my camera and waited for some time, but nothing happened. A few weeks later I set up my camera and waited again. 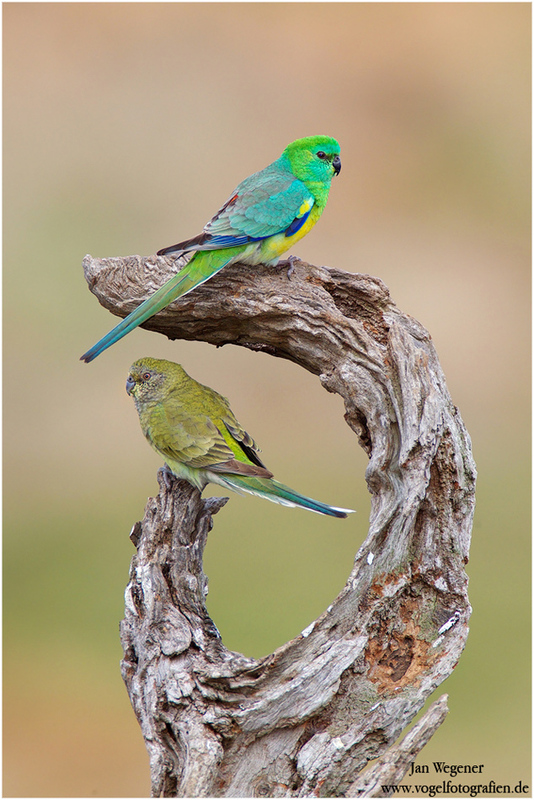 This time a Red-rumped Parrot pair flew in the tree and started inspecting possible nesting holes. They began at the bottom and slowly made their way up. When the female flew higher up to inspect a small crack in the tree, the male decided to fly all the way up and perch on the branch that I had wanted it to be on! Finally I got some cool images! What happened next, I wouldn’t have dared to even dream about. 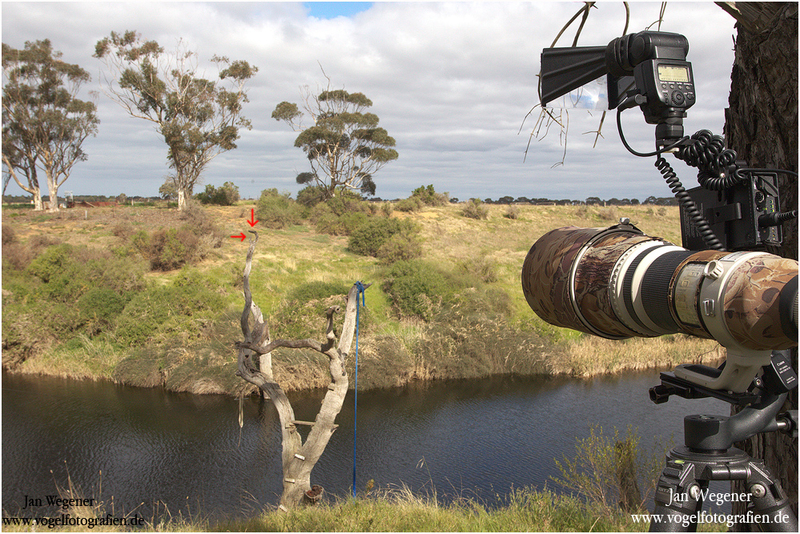 Once the female had finished inspecting the potential nest site, she decided to fly up as well. Because the male blocked the top of my favourite branch, the female had to land on a little piece on branch just below the male. This created an absolute perfect scene and I could take one of my all time favourite images! The red arrows mark where the birds were sitting. The final image below is full frame.